Exhibition Opening - Connecting People, Places and the Past. An Exhibition Celebrating Australian Heritage Festival 18 April – 19 May 2019 was opened on the 5th of April at Gatakers Artspace. Letters from the Keene family. Dr Rae Norris has done research on Burrum Miners and this is one of the families. The generosity of the community has provided a rich collection of reflections and research that the library strives to have available on open access platforms. Four of these stories were selected for this exhibition. 4. 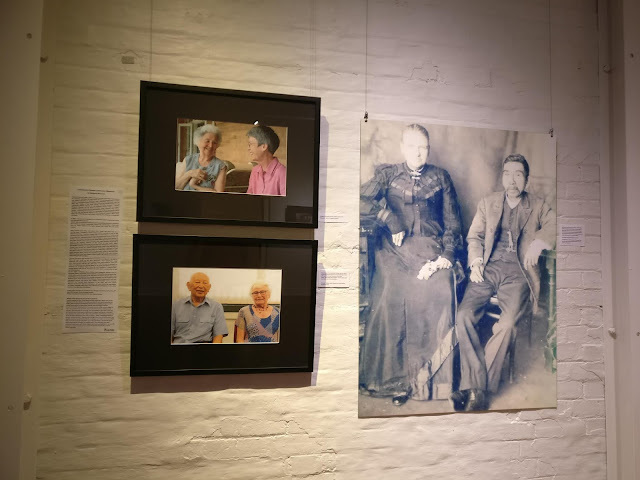 Recollections of an Australian Chinese family by Keith and Juanita Shang. A Red Coat worn by a member of Juanita Shang's family. Gatakers is open from 10 to 4 weekdays and 10 to 1 on weekends. It is located at 311 Kent Street Maryborough QLD 4650. Margaret Slocomb with her mother and the Shangs. Anniversary Celebrations Scottish Hero - Maryborough Family Heritage Institute Inc.
Maryborough Family Heritage Institute Inc. are tracing descendants of passengers from the ship Scottish Hero 1879 and 1886 voyages to Maryborough Queensland for Anniversary Celebrations. Do you know anyone that came to Maryborough on these voyages? #familyhistory #Maryborough #voyage #Scottishhero #anniversary. Postcard photograph of railway picnic day on Esplanade, Scarness.The Maryborough railway employees hosted picnics at Torquay and Scarness beaches for thousands of children and their parents in the late 1920s and early 1930s. All the children received free icecreams, peanuts, fruit and lollies and the parents free hot water and milk. The trains were met at the station and passengers were piped to the beach by the Pipe Band. Families all around the district would get together on the foreshore at Torquay and Scarness for the annual railway picnic. With poor roads and very few privately owned cars, many people relied on the railway to get to the Bay. The Railway Picnics began in the late 1920s and the last steam train to The Bay was a Bush Children Heal Scheme fundraiser on Sunday, December 14th, 1969 (Melksham, 1993). Three trains ran from Maryborough, one from Bundaberg which connected with a rail motor from Childers, one from Gayndah and one from Gympie which connected with the Kingaroy train at Theebine (Maryborough Chronicle, 1949). Only the adults paid a fare which in 1969 was 50 cents (Melksham, 1993). Free tickets were given to every pupil in every school from as far away as Kingaroy and Monto (Andersen, 2017). The passenger trains would park on the Urangan Pier once the passengers alighted. Soon "the entire length of the pier was occupied by a line of passenger trains" (Andersen, 2017).The Maryborough Pipe Band known affectionately as the Kilties would meet the train and lead the passengers down to the beach. The children would join a queue to get ice-cream, watermelon and sweets with a ticket. Cordial and hot water for tea was also supplied. Activities included: Treasure hunts, march pasts; Belle of the Beach; sand garden, nail driving and broom throwing competitions and races for the children. 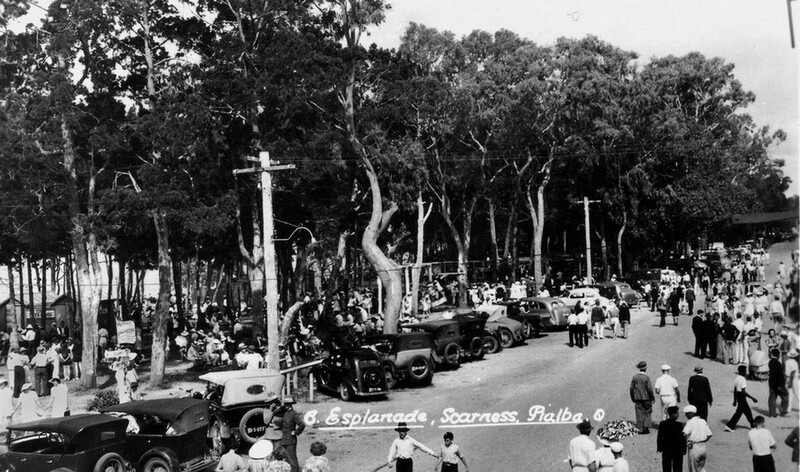 Sand Gardens, Hervey Bay 192s. If you drove down you could get tickets for your children at an issuing point on the road near Susan River established by the committee (Maryborough Chronicle, 1948). These picnics were always held in October and were sponsored by The Railway Department and their employees. Raffles and donations from businesses helped raise the funds. Maryborough Chronicle, 1948 state "trains conveyed almost 6000 people to the beach, and fully seven or eight thousand travelled by motor conveyances". Dennis Melksham (1993) remembers on the last train home "for some unknown reason the lights in the carriages didn't seem to stay on for long. Needless to say this train was always popular with the teenagers". Do you remember the Railway Picnics? Melksham, D (1993) Railway Picnics were big events The Chronicle, Saturday June 19th 1993. Andersen, J (2017) Queensland Times 22nd of February 2017 All Aboard for railway picnic re-enactment. Plantation Voices is one of the latest exhibitions at State Library of Queensland and is a portal to Australian South Sea Islander culture and history in Queensland. Over time State Library has cultivated resources and collections telling the story of Australian South Sea Islanders and celebrating their contributions to contemporary Queensland. 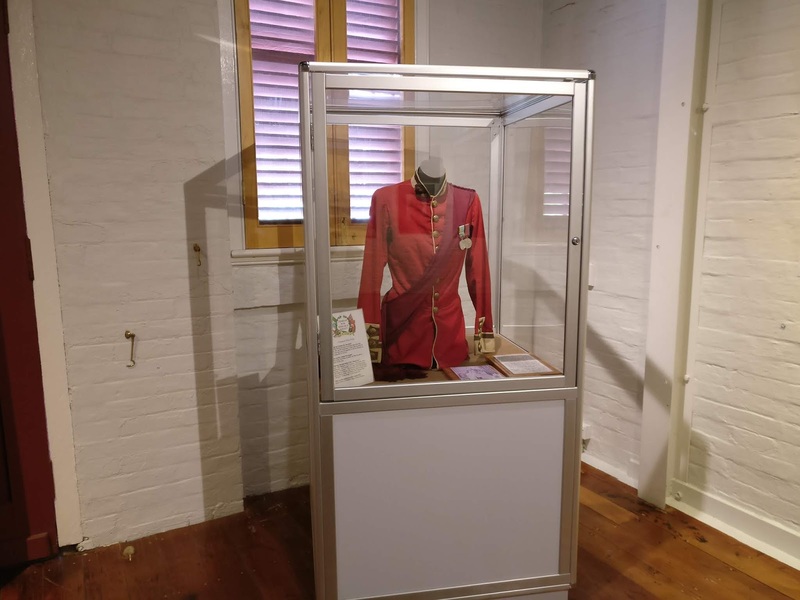 This is a free exhibition and is open until 8 September 2019. Hervey Bay Historical Village and Museum will host the launch of a new book Moments in Time; a Pictorial History of Hervey Bay and Surrounds, 1890 to 2018 compiled by John Andersen.The book is a pictorial history of Hervey Bay and surrounds dating from the 1890s to 2018. Many of the hundreds of photographs are in print for the first time and the book features many never before seen prints of glass negatives of local scenes and people dating back to the 1890s. These are extremely rare and give a glimpse of life on the Fraser Coast as lived by our pioneers. 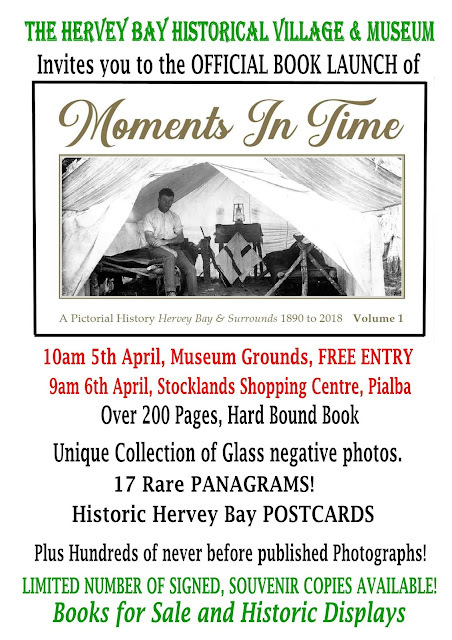 The book also includes some 17 panagrams, (panoramic views), of Hervey Bay in 1950, many of which have not been previously reproduced. 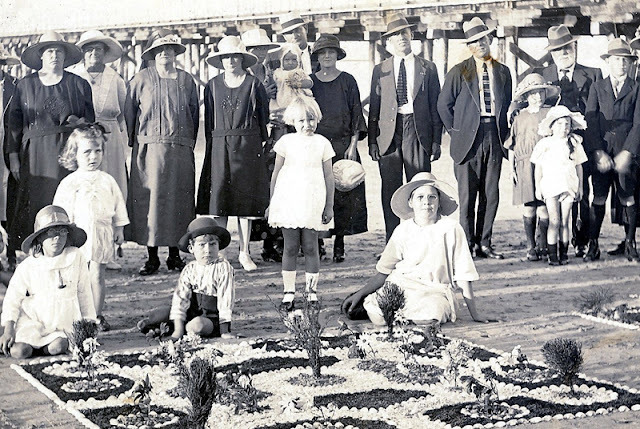 A set of local postcards from 1920 show the great changes that have occurred as the Hervey Bay of today developed from the hamlets of yesteryear. Captured by the local photographer of the time, these fascinating pictures are an amazing insight into our past.The book consists of 30 chapters containing hundreds of photographs, each with a story to tell. The official launch date is 5th April at 10am. Enjoy free entry to the village. 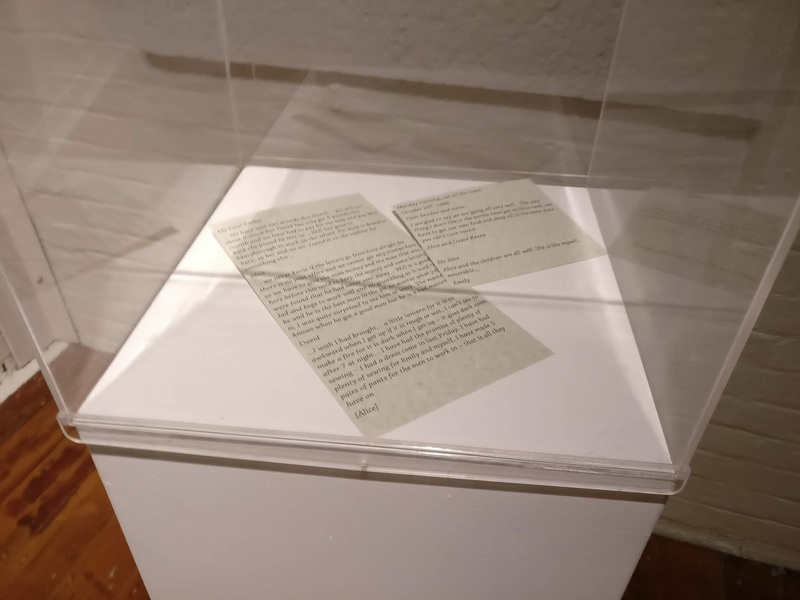 A reader recalls riding their horse to the Tiaro Police station and leaving it tied there while they posted their letter at the Post Office and then returned home. This made us curious about the Post Office building. 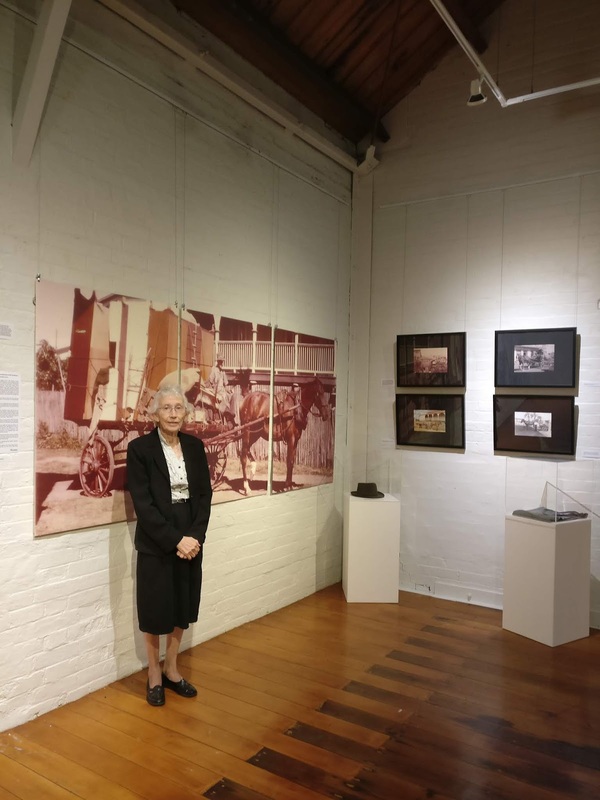 Mrs Philomena Grimwade currently owns and lives in the old Tiaro Post Office building. The second part of the building which was the Police Station and Court House is currently leased to The Hippie shop. Mr and Mrs Grimwade purchased the Post Office business in Tiaro in 1980 and ran it in that building. They sold the Post Office business in 1994 and the Post Office business then moved to the current Christmas shop in Tiaro. After selling the business, the Grimwades kept the building where they had run the Post office. An article from 1869 Maryborough Chronicle states Tiaro was proclaimed a township five years ago 1864. Building of the first Tiaro Post Office was finished in 1868. A report in the 1869 Maryborough Chronicle states that the 93 country post-offices of the previous year were increased by 11 in 1868, of which 5, i.e. Jimna, Kilkivan, One-mile Creek, Owanyilla, and Tiaro, belong to the Wide Bay District. Do you have any recollections of this Tiaro building? Hervey Bay has been a great destination for campers. 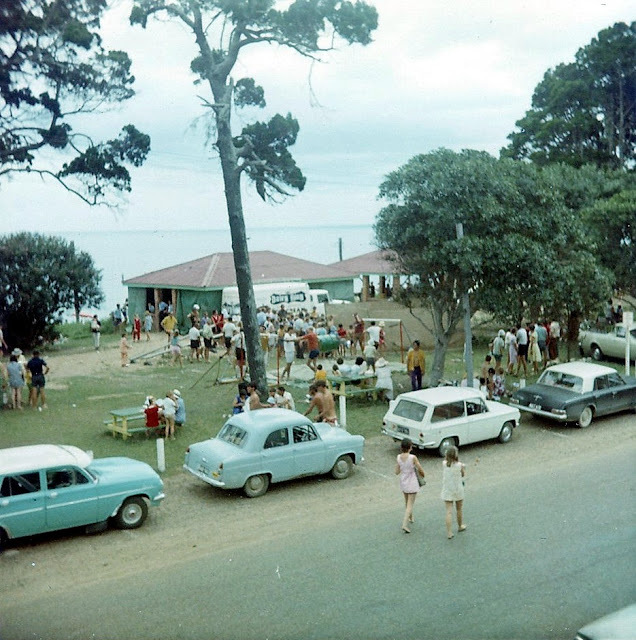 A reader remembers going to the bay every Christmas holidays to camp in the family caravan. She enjoyed the freedom and remembers putting her clothes on the night before in anticipation of an early rise next morning to play with cousins and family at the beach. Pialba, Scarness, Torquay and Burrum Heads Caravan parks have been reserves for camping purposes owned by the Department of Natural Resources Mines and Energy and are managed by the Fraser Coast Council as a Trustee. Another camping area at Dayman Point was also available as discussed in the Maryborough Chronicle on the 22nd of August, 1952. These were considered hugely popular in 1954 but nothing by today's standards. The Maryborough Chronicle 6th January 1954 states "the number of campers at the various centres between Christmas and New Year were roughly as follows;— Pialba 138, The Pines 30, Scarness 146,Torquay 30, Nielsens camp 31,Urangan 35, Keys's camp 54,Gataker's Bay 15." Electricity had been "laid out to the camping reserves at Pialba and Scarness" according to the Maryborough Chronicle 2nd June 1954. Discussions about whether the reservations were Caravan Parks were taking place as reported in the Maryborough Chronicle on the 4th of August,1954. Pialba Caravan Park and Kiosk in the background. "An overwhelming majority of members of the Hervey Bay Chamber of Commerce supported a resolution registering a vigorous protest at the action of the Burrum Shire Council in increasing the fees for campers at Hervey Bay from 10/- to £1 a week" Maryborough Chronicle 16th September, 1953. The fee collector would travel from camp ground to camp ground collecting fees and sometimes would miss campers. 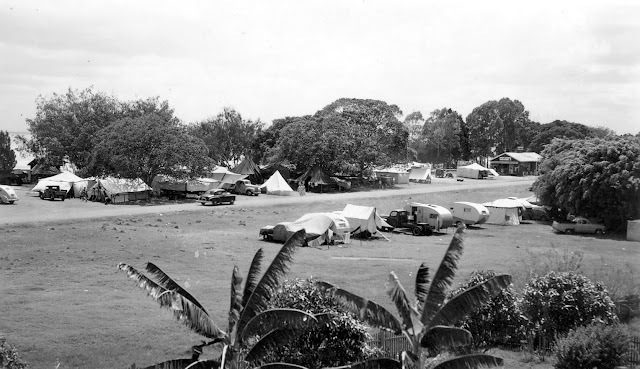 Do you have memories of Hervey Bay camping and caravan parks? 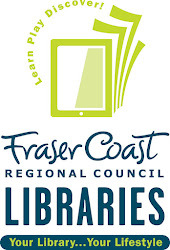 Follow our Local history stories and share your memories of the history of Fraser Coast.